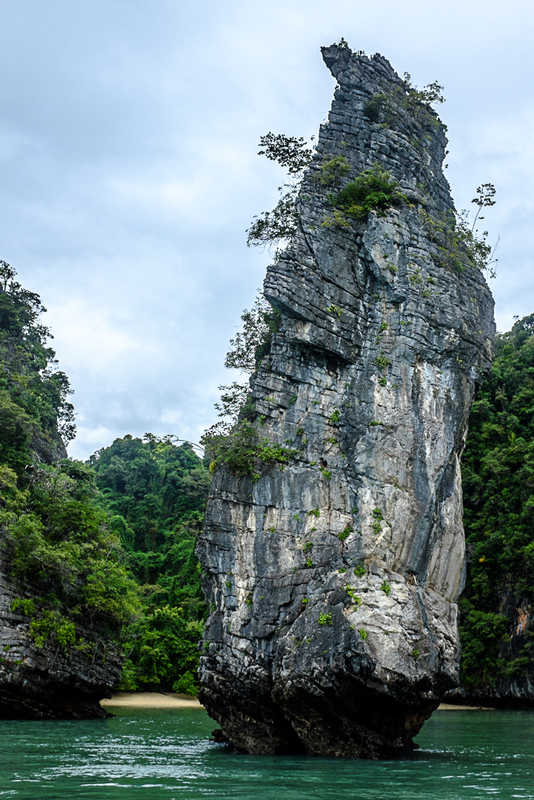 I spent a few days on an Island near Phuket in Thailand. Unfortunately for us, the generally clement weather was anything but. I made do with what I have though, and this week I will share a few shots I took there, mostly seascapes. 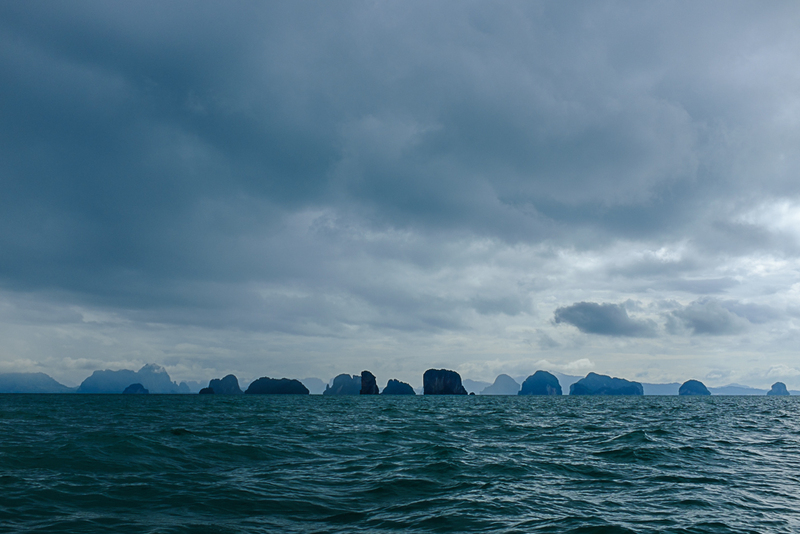 Here is probably the most successful, showing the numerous islands peppering the Andaman sea (and the heavy weather). 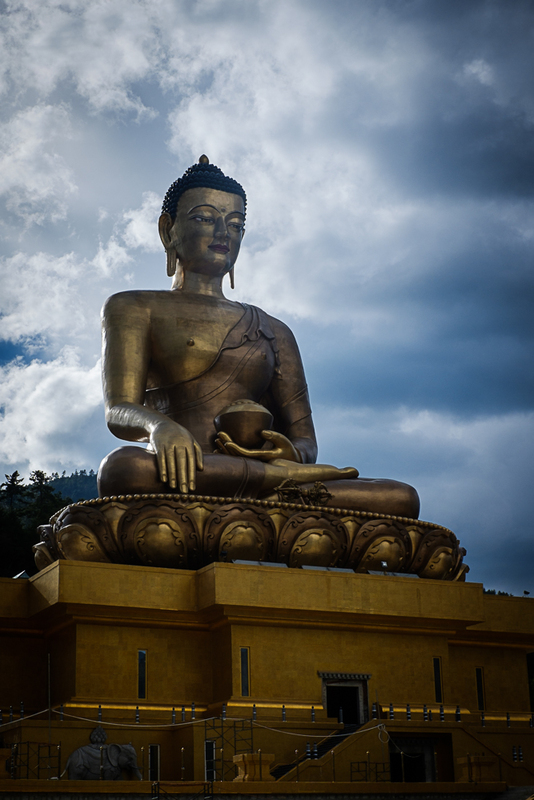 This is another shot of the Buddha Dordenma in Thimpu, Bhutan. 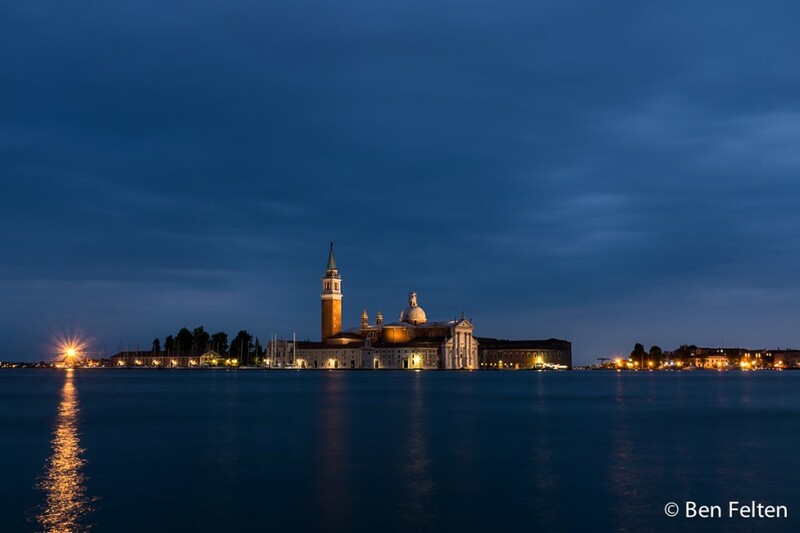 A truly impressive piece of architecture. One of the most surprising aspects to me was the notion that this would be built today. I can’t imagine a cathedral being built in France today in the style of the medieval cathedrals, yet this is, in essence, what it is. It’s one of those moments when I realize that spirituality truly means something else in Asia. I was in Bangkok for work this week, first time there in 25 years. I had way too little time for photography, sadly, but I managed to catch this photo from the back of a tuk-tuk and even though it’s slightly blurry and very grainy, I think it perfectly translated the night atmosphere of Bangkok. I hope you like it too, don’t hesitate to comment if you do! I haven’t posted a concert photo in ages. Truth be told, I haven’t been to a concert in ages. This is the last gig I attended in Europe, Monophonics at the Nouveau Casino in Paris. 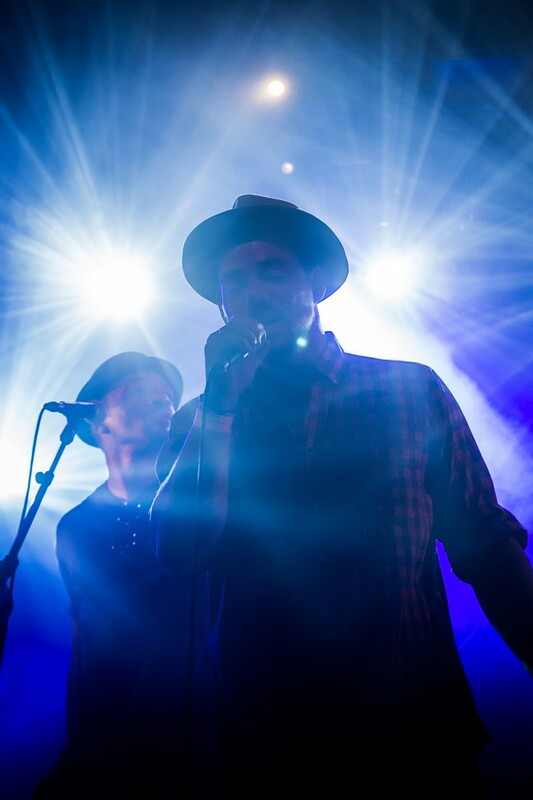 Since the Monophonics band backed Ben L’Oncle Soul (a French soul singer with a pretty decent voice) during his French tour, he paid them a visit during their gig. To be fair, the photos I got with the x100s and the 50mm extension weren’t great overall. 50mm isn’t close enough for most shots, and the AF performance was seriously hampered by the extension, but there are a few good shots, including this one of Ben. Not the kind of shot I normally capture, but I really like the light display here. 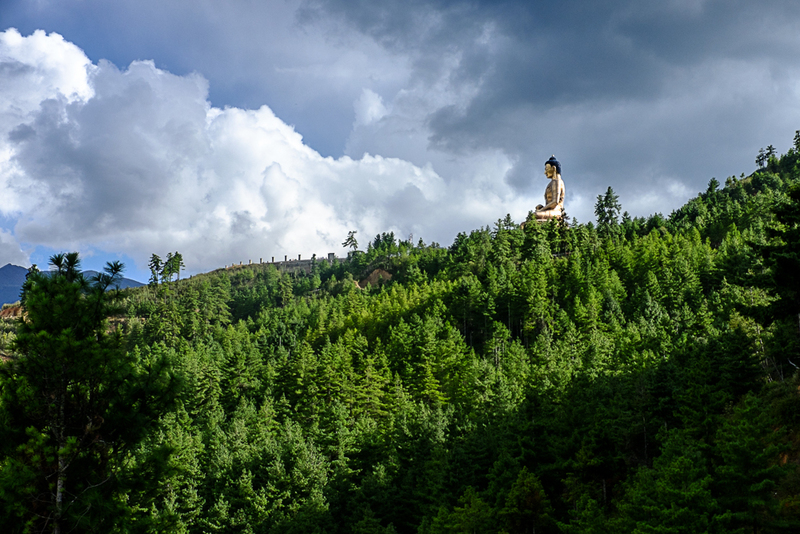 The Buddha Dordenma is probably the most impressive manmade thing I saw while in Bhutan. It overlooks the capital city of Thimphu, and actually isn’t finished yet (the insides will ultimately be a temple, but that’s not done yet). I took this shot from a moving bus and was quite please it came out so well. 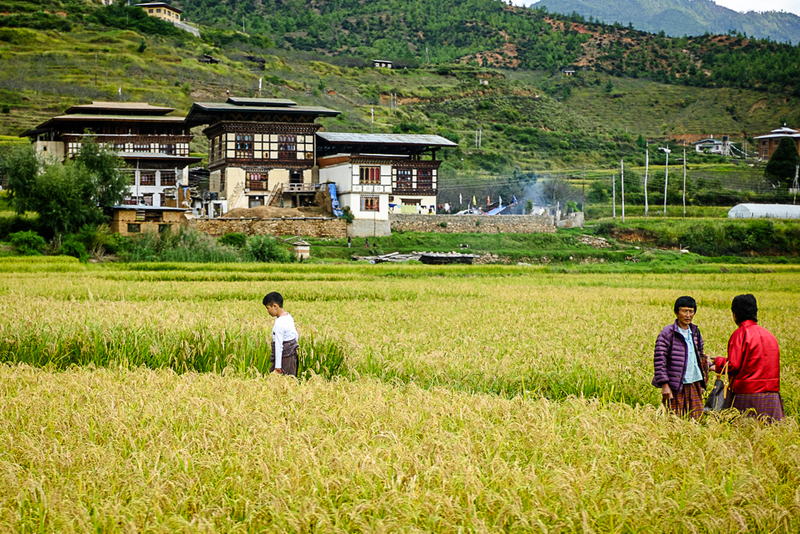 In fact, I suspect it’s my best shot from Bhutan. If you’re interested in a print, get in touch! 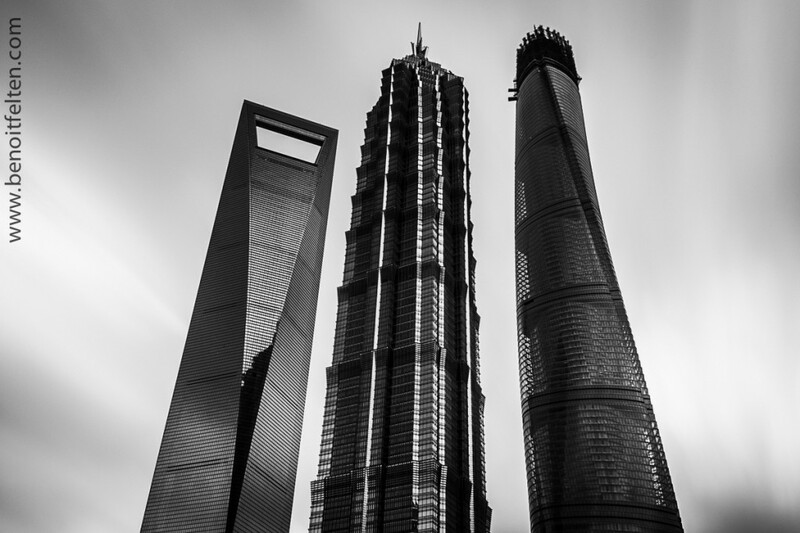 A few years ago I went to Shanghai on a business trip and took a photo that I entitled The Two Towers (in a not so subtle reference to Tolkien’s Lord of the Rings) featuring the Shanghai World Financial Center and the Jin Mao Tower. Going back to a similar location last week, I realised that even if I’d wanted to, I couldn’t do the same shot again: there’s a third tower now, the nearly finished Shanghai Tower. Still, I stabilized my gorillapod, screwed on my ND 400 filter, activated the internal ND 8 filter (for a combined ND 3200) and fired for 30s in plain daylight. I quite like the results. My wife and I spent a few days house hunting in Shanghai in preparation for our move there in August. 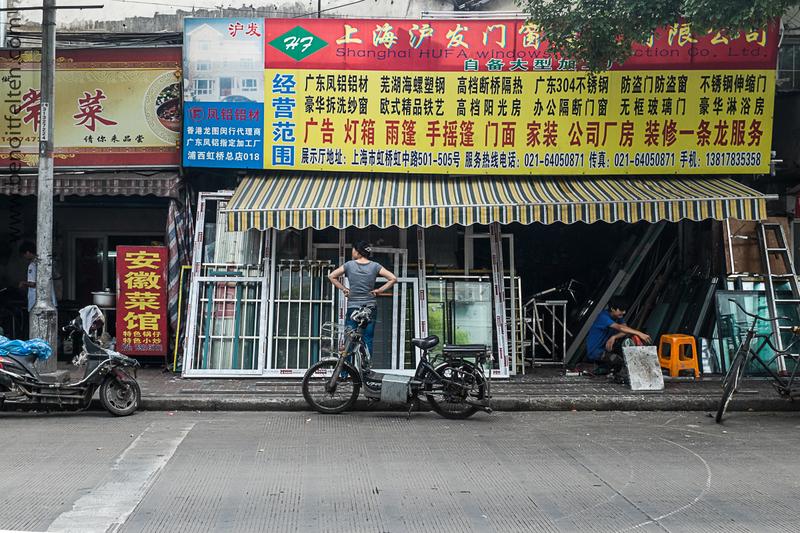 On Sunday, since we couldn’t visit any houses, we walked around the general area where our accomodation was likely to be, and stumbled outside of the main arteries in an area that felt (to us) like the « real China ». Shanghai is easy to view only as a modern city, forgetting that people there don’t live lives focused on delivering services to the tourists and expats. It was a well needed (and much appreciated) segment of our trip. I took some photos, and this one I liked quite a lot, it feels like a daily life kind of scene. Venice is a honeytrap for the amateur photographer, and despite only having my x100s and gorillapod, I was able to make some really great low-light long-exposures while I was there. This is one of them.